Costumes are incredibly cool and fun to dress up in. Nowadays some costumes are so real-life that you will wonder if it is real. Now costumes are not just limited to Halloween; the theme parties also need some fine and realistic costumes such as vampires, werewolves, zombies and so on. So how do you think about going as a dinosaur this Halloween or for your scary themed party? What are the choices for you to be a Dinosaur? Well to start with, you can be the dinosaur of your dreams, a Tyrannosaurus; no one can become an opponent to the mighty T-Rex. You can rule the party just like T-Rex rules the Jurassic era. This is the most popular dinosaur as well. If you prefer to fly you can choose Pterodactyl dinosaur and become the predecessor to the modern-day birds. These dinosaurs have cool wings which can fly in the sky. If you’re feeling humble, you can become a two-people vegetarian dinosaur, Stegosaurus (four-leg costume, two people). Look for the functions of the dinosaur mouth. These functions include opening and closing of the mouth. Check the head movements available. 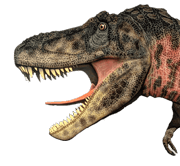 Head movements in dinosaur costumes include turning the head up and down. And you also have to check if the neck is fully functional which means it is flawlessly moving sideways. A dinosaur costume is not complete just with the appearance. An important part of the costume includes a perfectly synchronized dinosaur’s roaring sound. This should be as real as possible. These giant lizard costumes must have some good tail swing to look as real as possible. Same goes for the body, it should not be rigid and fixed and it should have same movements to resemble a dinosaur. The walking and other movements should be made by using the soft material and silicon is a preferred material for the job. What are the places for using dinosaur costumes? Dinosaur costumes are not limited to be used for Halloween costumes. Here is a list of all the other places for using dinosaur costumes. 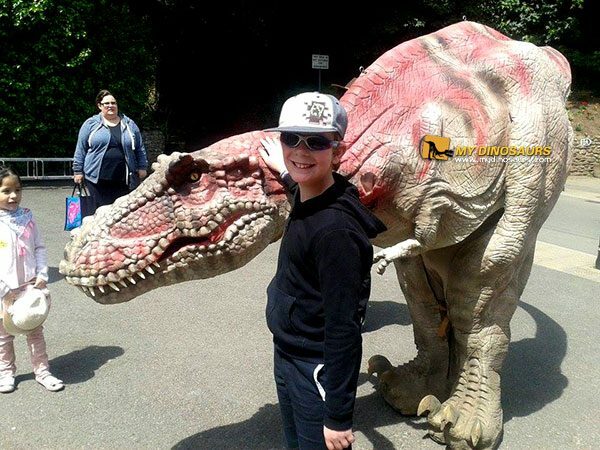 For both indoor and outdoor amusement parks, dinosaur costumes can be very useful. They can help set a feeling for the theme of the amusement park. Museums prefer giving experiences which include a thorough depiction of a specific incident or any era. If the theme is Jurassic, what can be a better option than having realistic dinosaur costume? Exhibitions on the Jurassic era include a complete collection of everything from that era. In such situations, only images cannot make a deep impression on the audiences, get hold of some dinosaur costume to do the magic. Using realistic dinosaur costumes for cinemas to have special effects for the audiences. And dinosaur costumes are really budget-friendly. This entry was posted in Uncategorized and tagged Christmas dinosaur costume, dinosaur costume, dinosaur costume exhibition, dinosaur costume for events, realistic dinosaur costume, walking dinosaur costume.